Sinai and the Nile tour will apply to you a fantastic adventuer starting with Sinai for diving and snorkeling and many water sports and activities. continue your tour with Cairo, start your visit with the Egyptian museum, Giza Pyramids, Sakkara and many other places you can visit in cairo. after that you will be transfered to Aswan to embark your 5 Nile Cruise for a wonderful Nile Cruise tour starting from Aswan and ending in Luxor. Egypt Travel representative will meet & assist you at Sharm El Shiekh Airport. Then he will transfer you to your hotel with a private air-conditioned vehicle. Upon arrival at the hotel he will check you in and give detailed information concerning your tomorrow’s trip, overnight in Sharm. After your breakfast at your Hotel in Sharm, you will fly to Cairo, after arriving to Cairo Airport you will be assisted by our representative then start a full day tour in Cairo to enjoy Giza Pyramids and the great Sphinx, Ramses II Statue in Memphis Necropolis, Sakkara step pyramid and Sakkara Tombs after this journey, enjoy shopping in Pyramids bazaars and papyrus institutes, overnight in Cairo. Have your breakfast at your hotel, and then you will be accompanied by your English speaking guide and your driver and enjoy a full day tour in Caro, you can visit the Egyptian Museum in Tahrir Square, after that you will visit Salah El Din Citadel and Mohamed Ali Alabaster Mosque, have a tour in Old Cairo while you can visit the Coptic churches, have a lunch break, continue your tour and visit Khan El Khalili Bazaar and enjoy an oriental atmosphere. After that you will be transferred to Giza Railway to board your sleeper train to Aswan, overnight on board train. Have your breakfast on board before your arrive to Aswan. Then you will be assisted and transferred to board your Nile Cruise from Aswan. 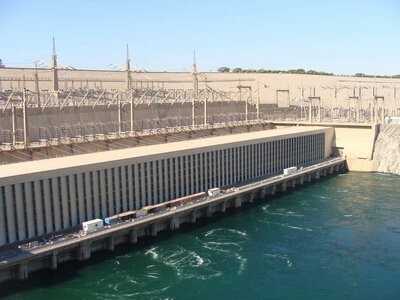 Start your Nile Cruise tour with Aswan High Dam, the Unfinished Obelisk and Temple of Philae with a felucca sail in the Nile. Have your afternoon tea, overnight in Aswan. After your breakfast you will visit the shared temple between the two gods Sobek and Haeroris in Kom Ombo. Lunch on board and then you will visit Temple of Horus in Edfu. Have your tea in the afternoon while sailing to Luxor. Have you Diner and overnight in Luxor. Have your breakfast on board and then start your tour in Luxor with the East bank of the Nile in Luxor to enjoy Karnak Temple and Luxor Temple. Have your lunch and dinner on board, overnight aboard the Nile Cruise in Luxor. Have your breakfast before disembarkation from your Nile Cruise. Visit the west bank of the Nile in Luxor starting with Valley of the Kings, continue your tour with Hatshepsut Temple and then the Colossi of Memnon. After that you will be transferred to Luxor Airport and fly to Sharm EL Shiekh. You will be transferred to your hotel for check in, overnight in Sharm. Breakfast at your hotel in Sharm, then transfer to Sharm El Shiekh airport for final departure. Meet and assist upon arrival and departure by our representative. Assistance of our personal during your stay, tours and excursions. Egyptian entry visa upon arrival at Sharm el sheikh airport. Accommodation for 2 nights in Sharm El Sheikh resort with breakfast. Accommodation of 1 night aboard sleeper train on half board. Accommodation for 3 nights on board Nile cruise on full board basis. Accommodation for 1 night in Cairo including breakfast. Interior flight tickets from Sharm to Cairo and Luxor to Sharm. Full day tour to Pyramids, Sphinx, Valley temple, Sakkara and Memphis. Full day tour to Egyptian Museum, Citadel Mosques and Coptic Churches. Camel ride around the Pyramids in Cairo. Full day tour to Karnak temple and Luxor temple, East Bank Luxor. Tour to Edfu temple in Nile cruiser journey. Tour to Kom Ombo temple in Nile cruise journey. Tour to the High Dam and Temple of Philae in Aswan. Felucca ride in Aswan around Islands. All sightseeing tours as mentioned. All Nile Cruise tours sharing Egypt Travel group. Professional Egyptologist speaking tour guide. All hotels and Nile cruise applicable taxes included in the price. Free mineral water and soft drink during the tours and onboard the vehicle in Cairo. Free Mobile phone charged against 20 min local calls / 2 min. international call. Airfare to and from Egypt.